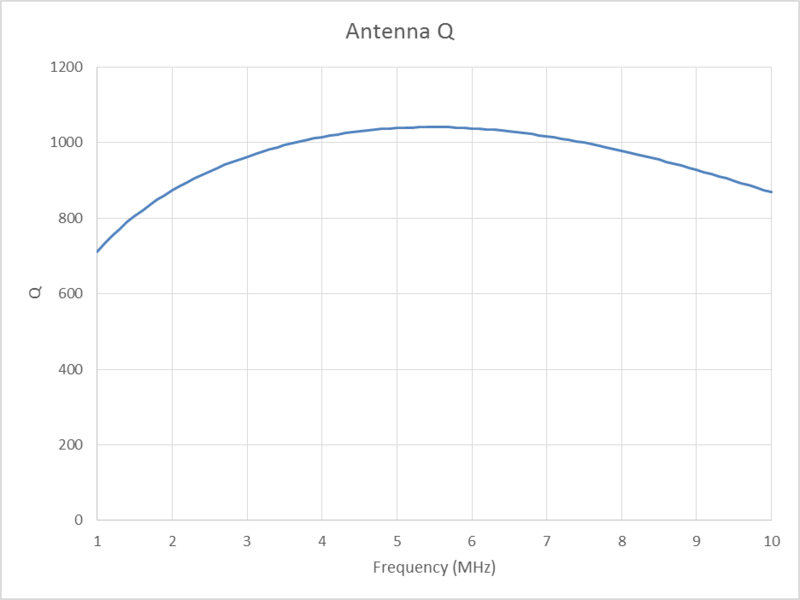 This is a quite practical small transmitting loop with current that is approximately uniform around the loop. The results are sensitive to all the model parameters, different assumptions may produce significantly different outcomes. 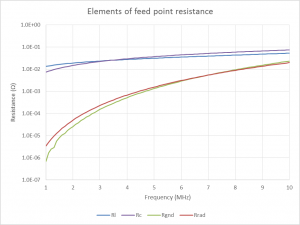 All impedance values are referred to the main loop feed point. 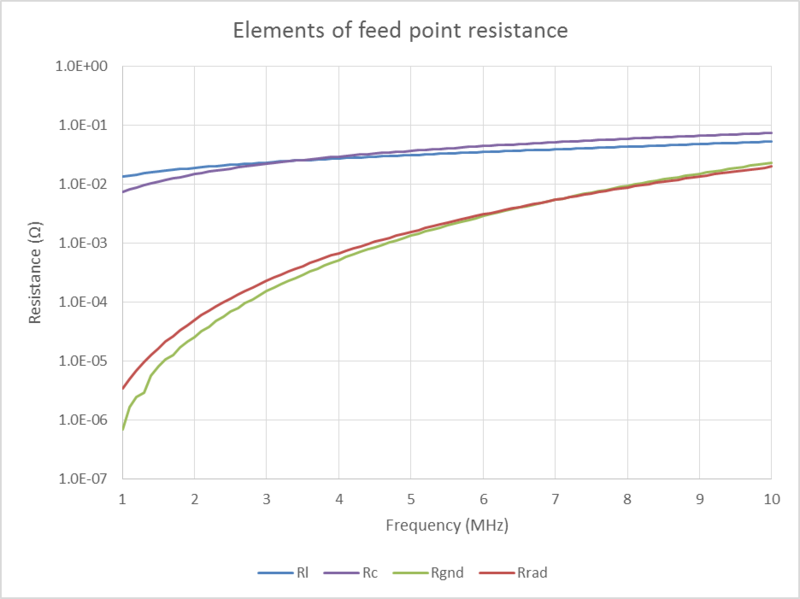 Radiation resistance means the ratio of power radiated (ie in the far field) by an antenna to the square of the RMS antenna current referred to the feed point. Above, the four elements on log scale. 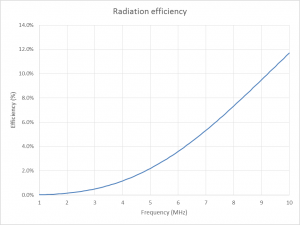 If you look closely at Rrad and Rgnd, you will note that at 7MHz and above, Rgnd>Rrad which means that even if the structure was lossless, radiation efficiency is less than 50%. 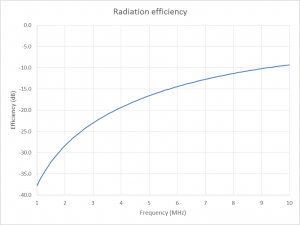 At all frequencies shown, structure losses (Rl+Rc) are much greater than Rrad, so efficiency is limited to a maximum of 12% which occurs at 10MHz. 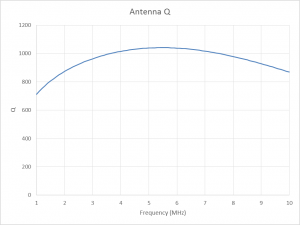 Above is the calculated Q based on the loop inductance and total input resistance from the model. 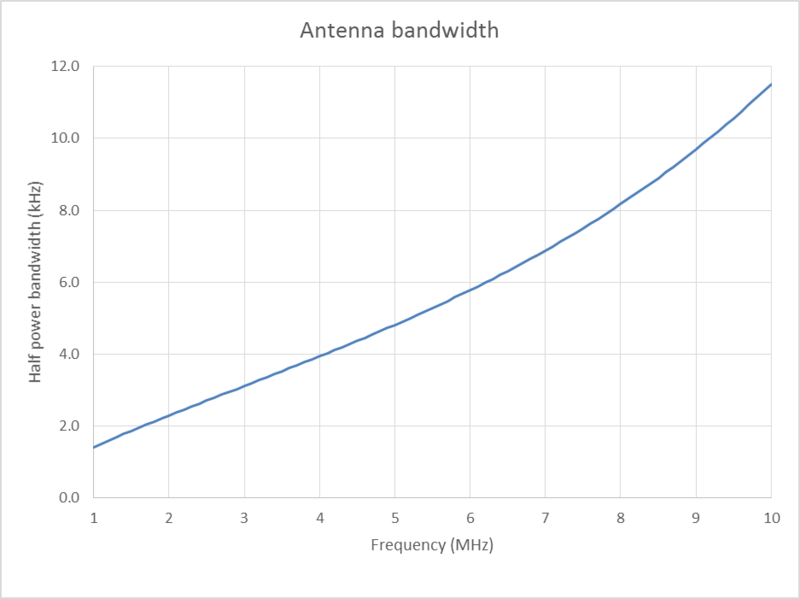 Above is a plot of half power bandwidth (VSWR=2.62). 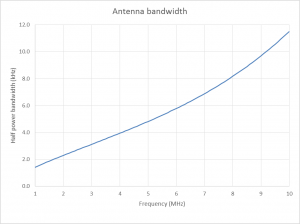 Note that VSWR=1.5 is a common threshold for PA protections circuits, and the VSWR=1.5 bandwidth is just 41% of the half power bandwidth, eg just 2.8kHz at 7.1MHz. 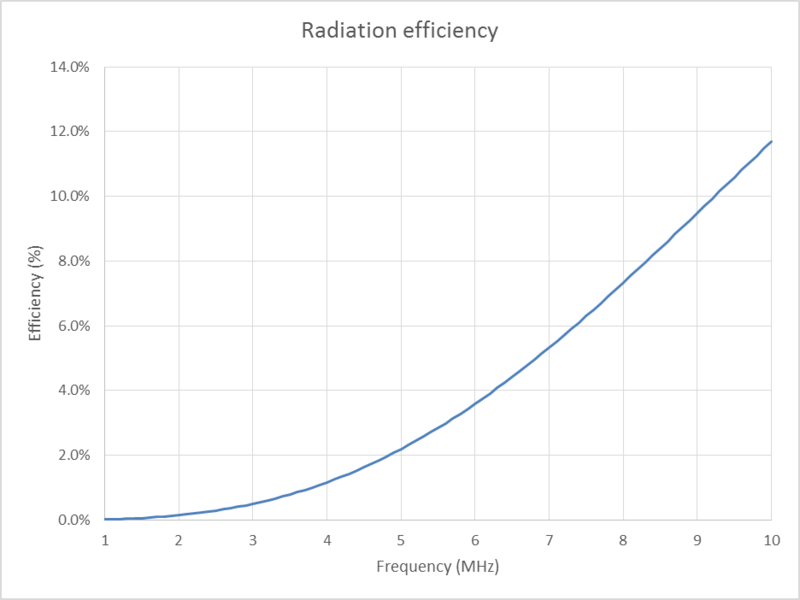 Above is a plot of radiation efficiency (the ratio of the total power radiated (in the far field) by an antenna to the net power accepted by the antenna from the connected transmitter). 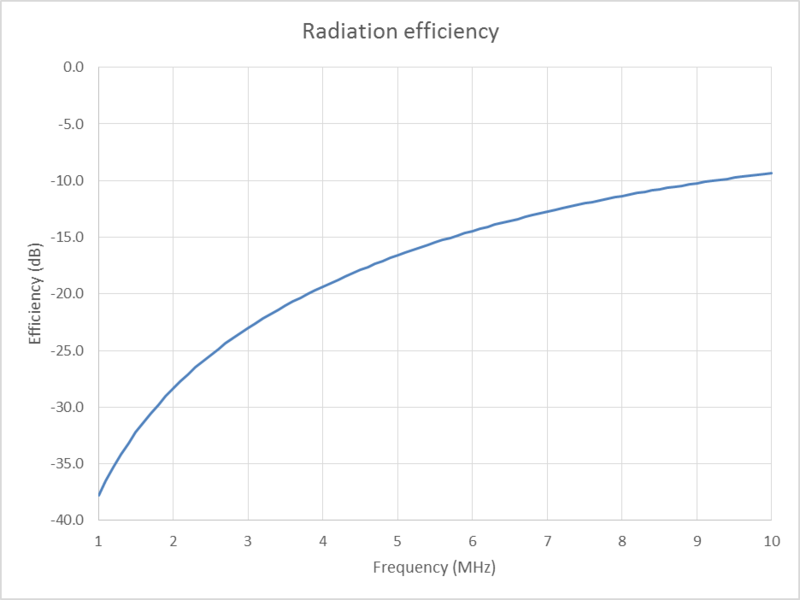 Above, radiation efficiency expressed in dB. measurement gives real insight, and nothing in this theoretical study questions Austin et al’s plot of measured Q.